Due to my traveling last week and this week, my blogging has been a hiatus. Last week, I was in Virginia for a very good friends wedding and also traveled around the District of Columbia and Maryland. This week is my final week in Texas since I will be moving and should be in Arizona by Saturday evening. I hope to do some reflections this week, if time permits, on last week’s trip to the Fortnight for Freedom Closing Mass at the Basilica of the Immaculate Conception in Washington, D.C. It was a beautiful mass and made me glad to be Catholic, especially now that we are fighting for our religious freedoms in the United States. Check back for that reflection sometime this week. Today I give you the Memorare Prayer that was written by St. Bernard of Clairvaux. I apologize for the lack of catechesis on this prayer, but I am short on time since I need to leave my friend’s house in less than two hours so I can return my rental car and make my flight back to Austin. I will say that this prayer has become a favorite prayer of mine since my time at Franciscan University of Steubenville. I pray this prayer as part of my end of Mass prayers along with the St. Michael the Archangel Prayer. I also like this prayer because the words show us how our Blessed Mother is our Advocate to Jesus Christ. 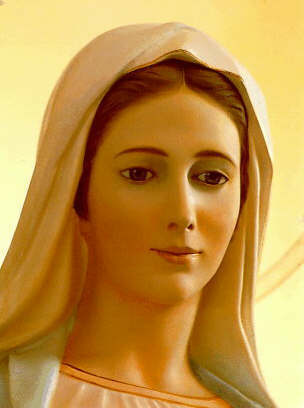 She is our Queen Mother who brings her our prayers to the King. In a future “Monday’s with Mary”, I will break this prayer down and explain it. I hope and pray that you all have a good week. Remember, O gracious Virgin Mary, that never was it known that anyone who fled to thy protection, implored thy help or sought thine intercession was left unaided.